General Motors and Cadillac have invested $175 million into the GM Lansing Grand River assembly plant for production of the luxury division’s updated sedan portfolio. The Cadillac CTS and ATS will see replacements, likely called the Cadillac CT5 as well as another model called CT4 or CT3. According to a report from The Detroit News on Monday, GM has already begun installing new tooling at the plant, which currently produces the ATS and CTS lines, as well as the sixth-generation Chevy Camaro. Cadillac did not provide additional information on the sedans and would not confirm their names. The $175 million investment is part of GM’s $500 million investment in U.S. manufacturing over the last two years. The retooling also comes as Cadillac prepares its product onslaught, with a new Cadillac model coming every six months starting in 2018 with the 2019 Cadillac XT4. Although the strategy began under ex-president Johan de Nysschen, newly minted boss Steve Carlisle will continue the strategy at Cadillac. The CT5 will indirectly replace the ATS and CTS sedans, straddling the line between compact and mid-size—a strategy that has worked well for Cadillac in the past. Another sedan – called either the CT3 or CT4 – will slot below it to indirectly replace the ATS sedan and fill the space below it. The XTS is not long for this world, leaving the CT6 as the brand’s largest sedan offering. Eventually, we will likely see a proper flagship sedan join the portfolio alongside a handful of new crossover vehicles – including the aforementioned XT4, as well as the larger Cadillac XT6. Lansing Grand River also builds the Camaro. I know the Camaro just received an updated styling treatment for 2019. Maybe an all new Camaro will come out in about two years. How long does it generally take to retool a production line? 5-6 months? Or a year+? The retooling depends on how significant the change is for the future product. This is a relatively small amount and is probably directed more towards body shop revisions. Many times this is done while the plant continues to run current product in order to limit down time and lost units. The Camaro will undoubtedly continue to be produced in this plant so the retooling will have to continue to support legacy vehicles as well. Today it only takes a couple of weeks as GM has the plans of re-tooling done before anything inside the factory is moved . In a way it’s like a plug and play . I thinkk its great news that Cadillac is building these two cars here in the States . When Cadillac sales more cars the BMW and Benz what will be the excuse the media still prefers the other luxury cars? More than likely, there will be a greater focus of sophistication, luxury and technology. Also areas where the successors will improve on will be interior and cargo space. Cadillac has the chassis right and one of the best in class and may enhance even further. There are some things I like to see in the upcoming models but would have to wait and see what it could be. Cadillac would be wise to use the XT4 derived 2.0 T four and massage it into more pound feet of torque and horsepower. Also can do the same for the 3.0 TT from the CT6 for their main engines and get rid of 3.6 NA engines. Looking forward to the CT5 and CT4. I hope they use the 3.0tt instead of the 3.6 so smooth and tons of power!! That mixed with an upgraded, more modern interior and escala styling on the outside and alpha chassis handling should make some awesome cars. The CT4 does not, and should not, be a sedan. The CT3, CT5, and CT6. are enough sedans. Cadillac needs diversity. The CT4 should be convertible with a metal folding top. BMW, Lexus, MB, Infiniti, and Audi all have convertibles. Cadillac also desperately needs a high end Coupe, like the Elmiraj. 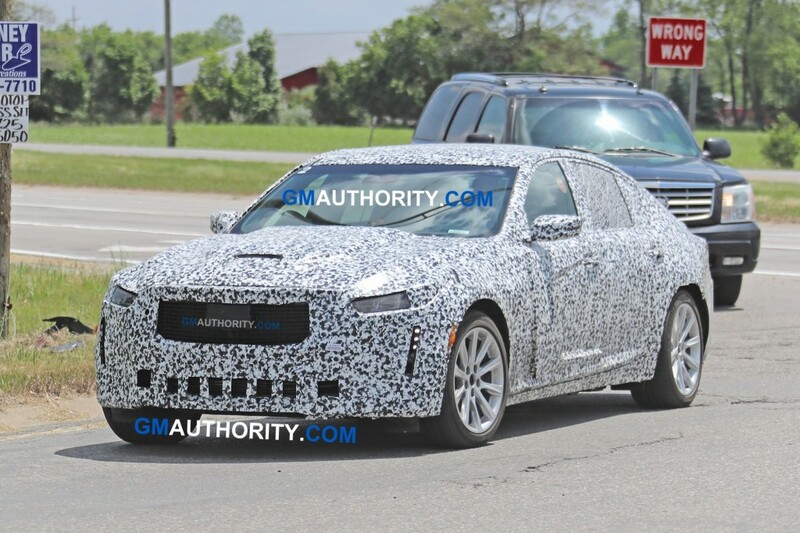 It could be the called the CS7 (Cadillac Sport), or better yet, simply…. Elmiraj. With the Escala scheduled for 2021(late), and I hope they keep it as a hatchback it could be CT8, or, better yet,….Escala. Down the road we will see the two seater. Of course there will be the XT3, XT4, XT5, XT6, Escalade, and, if the bottom hasn’t fallen out of the SUV market by then, the XT7, and XT8….